« BALANCING THE SCALES OF INJUSTICE. A WEBSITE THAT OFFERS ADVICE AS TO HOW TO FIGHT ABUSES IN OUR LEGAL SYSTEM. 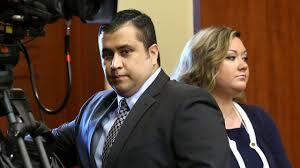 George Zimmerman cannot keep out of trouble. First he gets pulled over in Texas and given a warning ticket for Speeding, then he gets caught speeding here in Florida and now, then his wife says enough and files for divorce and now George is arrested after an altercation with a neighbor involving a gun. This guy cannot catch a break. Now the social media sites will once again have George to talk about and perhaps another trial. This entry was posted on Monday, September 9th, 2013 at 2:54 pm by murtwitnessonelive and is filed under Uncategorized. You can follow any responses to this entry through the RSS 2.0 feed. You can leave a response, or trackback from your own site.